Many books have been written about Porsche. So when another book on the history of Porsche is published, one becomes rather sceptic. Writing a book about the history of a car manufacturer that exists 70 year’s isn’t easy. And it becomes even more difficult when that car manufacturer is Porsche, with a race history that’s not equalled by any of the competitors. Writing that history and all the race successes down is a huge job, and one would need many volumes to be complete. 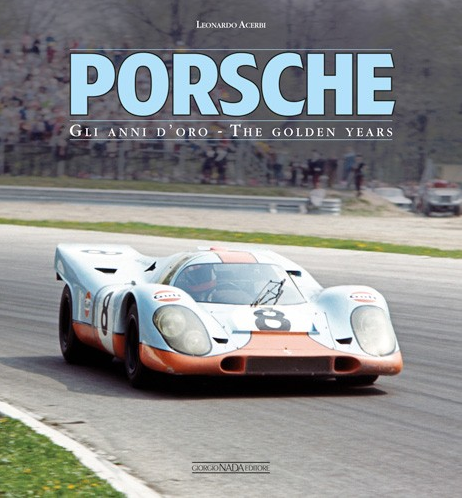 However Leonardo Acerbi succeeds very well in bringing the history of Porsche in general and the highlights of the racing history up to 1998 in his book “Porsche : the golden years”. Each chapter in the book covers a certain period in the history of Porsche.The first chapter starts all the way back in 1875 with the birth of Ferdinand Porsche and covers the period to 1930. That year, December 1st, Ferdinand Porsche starts the Porsche Design studio, the company that will evaluate to the company Porsche AG is now.